/ Modified sep 17, 2018 2:49 p.m.
DUBAI, United Arab Emirates — Saudi Arabia's sovereign wealth fund invested over $1 billion Monday in an American electric car manufacturer just weeks after Tesla CEO Elon Musk earlier claimed the kingdom would help his own firm go private. Tesla stock dropped briefly Monday in reaction to the news, the same day that the Saudi fund announced it had taken its first loan, an $11 billion borrowing from global banks as it tries to expand its investments. It wasn't immediately clear if that loan money played a part in the electric-car investment. The electric-car investment is a bold move for Saudi Arabia, an ultraconservative kingdom that for decades has relied on its oil wealth as the world's top crude exporter. But previous splashy market-moving promises by the kingdom's assertive Crown Prince Mohammed bin Salman have yet to materialize. The Saudi Public Investment Fund said it would invest the over $1 billion in Newark, California-based Lucid Motors, an 11-year-old private company that has yet to bring a vehicle to market. "At Lucid, we will demonstrate the full potential of the electric-connected vehicle in order to push the industry forward," said Rawlinson, who worked as the lead engineer of the Tesla Model S before joining Lucid. The over $1 billion investment easily dwarfs prior funding for the manufacturer and puts Saudi Arabia clearly in the firm's driver seat. 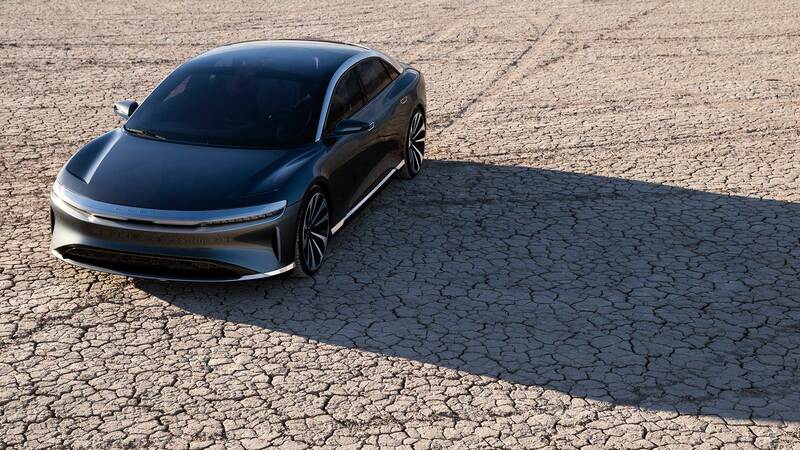 Three previous venture funding rounds have netted Lucid Motors some $131 million, according to the business information website crunchbase.com. The firm's all-electric Lucid Air will have a range of over 400 miles (640 kilometers). The company already is taking deposits for the vehicle, which they've priced at $52,500. Lucid plans to make the Air at a factory it's building in Casa Grande, Arizona. The company wants to make up to 130,000 vehicles per year by 2022. The Saudi announcement comes after Musk on Aug. 7 tweeted that he had "funding secured" to take Tesla private. Investors pushed Tesla's shares up 11 percent in a day, boosting its valuation by $6 billion. There are multiple reports that the U.S. Securities and Exchange Commission is investigating the disclosure, including asking board members what they knew about Musk's plans. Experts say regulators likely are investigating if Musk was truthful in the tweet about having the financing set for the deal. Musk later said the Saudi Public Investment Fund would be investing in the firm, something Saudi officials never commented on. Musk on Aug. 24 said Tesla would remain publicly traded. On Monday, Tesla stock fell as much as 2 percent before rebounding. The Financial Times newspaper previously reported that the Saudi sovereign wealth fund, known by the acronym PIF, had secured a near 5-percent stake in Tesla recently. Meanwhile Monday, the PIF said it had taken its first loan, an $11 billion borrowing. It did not say how it would use the money, only describing it as going toward "general corporate purposes."